♻ You can start trade with minimum deposit (such as $5) in forex market. ♻ All brokers give opportunity free demo practice. That means virtual money to learn trade. So you can learn forex without risk for your own money. ♻ To trade in forex market you will get big leverage (such as 1:10 – 1:3000) so that you can earn more profit from forex market. ♻ Scalping is a popular word in forex market. It means open a trade for few second or minute and earn from it. ♻ You can trade 24 hours in a day, 5 days in a week in forex market. So you can trade here any time without problem if you are business man or job holder. ♻ You can trade from your home, also from your mobile. So you can save your time. 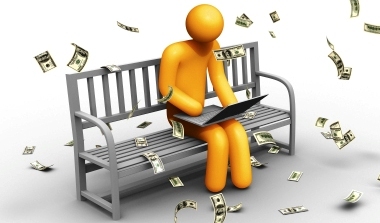 ♻ You can manage forex in online such as trade, deposit or withdraw. So it’s become easier than easy to forex trader. ♻ A successful forex trader can earn more profit from forex market. But mind it you have to learn and acquire proper knowledge about forex market before start live trade in forex market. Value of different country is always variable. You may see newspapers, TV channels and many Forex websites to collect information's, where Dollar is strong then Euro. Or Pound can (it can reverse) down than Euro or Dollar. So if you have dollar when dollar is stronger than euro, you can buy more euro. Again when euro is stronger than dollar you can sell euro & buy more dollar. In forex market there is an opportunity in both ways where as any currency stronger or not. It’s the main benefit of forex market. How can I trade (buy & sell) Foreign Currency? It’s very simple task to trade foreign currency. You need to open an account with a forex broker; deposit & then you start your trade. It’s simple to open an account in just two minutes you can deposit through your Bank Account and various E-currencies such as Neteller, Skrill, Okpay, Webmoney, Paypal etc. 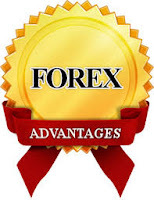 You have to trade online on forex by software which can be download free from your brokers website. Various software is available for trade in forex such as MT4, MT5, Web Mobile terminal and Mobile terminal. After installing the software you can login by your user name & password which will provide by the forex broker. *** You can change width value and height value for customization.